Attention to detail: We take time in each pose to see that you both learn and absorb instruction. Those who enjoy flow often find that taking Iyengar classes helps them improve their poses because it provides fantastic instruction and thoughtfulness in approaching each pose. We welcome all students of yoga to try one of our classes and see the many benefits of the Iyengar Tradition! Precise focus on body alignment: You will hear our teachers giving plenty of instruction on how to align your body in each pose. We deepen your understanding of alignment by using props such as blankets, blocks, straps, and bolsters. Props help to offer support so that you can observe alignment with more clarity and sensitivity in ways that will leave you feeling fantastic! The Iyengar Yoga Center is Nashville's only certified Iyengar Studio, which means all our teachers are either certified or in the process of getting their certification. The Iyengar Tradition and National Organization also takes great pride in the integrity of our teacher training. The Iyengar system has an extensive and thorough training program based on years of practice and study. Teachers maintain a commitment to daily practice, study regularly with senior Iyengar teachers, and have passed a rigorous assessment exam. As a certified studio, we are able to use the national accreditation seal. What kinds of students do you see? All kinds of students love Iyengar Yoga! We have students who drop in when they can, and we have students who come three days a week. We have students who are seniors who study next to students who are in high school. A pregnant mom can practice next to a triathlete. Our use of props to accommodate varying needs of our students allows us to help our students make the most of their practice and to challenge each student at their own pace. Our students who dedicate themselves to a regular practice—which can be as easy as committing to class one day a week while practicing at home—find the long-term benefits of Iyengar Yoga reflected in their daily lives in many ways. To name a few, Iyengar Yoga improves the quality of your health, increases mindfulness, and taps a well of gratitude inside that flows outward into the world around you. And while we have all kinds of students, we do ask that you be mindful of the level of the class you’re attending. Each class is marked with beginner, intermediate, or advanced in the class description. If you have never been to a yoga class before, please start with a beginner series. If none work for your schedule, contact us with a little more information about yourself, and we’ll be sure to let you know some great options for your first time visiting our studio. Mr. Iyengar was the world’s foremost teacher of yoga. He is respected and revered as a master teacher worldwide by students and teachers of all yoga traditions. Mr. Iyengar’s life spanned over 90 years of history, rich with triumphs and sufferings. He writes openly about his life in a number of books, including his most recent book Light on Life. Guruji, as his students affectionately call him, was born in the small village of Bellur. He was born on Saturday, December 14, 1918. His mother was ill with influenza during his birth, and he writes that it was by the grace of God that he and his mother survived his birth. As a result, he was a noticeably sickly and weak child. His father died when he was nine years old from an acute appendicitis attack. 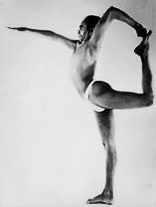 Iyengar’s older sister was married to the great yogi Sri T. Krishnamacharya. Iyengar says that destiny came to meet him when he went to visit his sister after his father’s death and his brother-in-law offered to teach him yoga to help him improve his health and strength. It is from these humble beginnings that Iyengar began his vast, profound study of yoga. “Its goal is nothing less than to attain the integrity of oneness—oneness with ourselves and as a consequence oneness with all that lies beyond ourselves. We become the harmonious microcosm in the universal macrocosm. Oneness, what I often call integration, is the foundation for wholeness, inner peace, and ultimate freedom. Mr. Iyengar passed away peacefully on August 20, 2014. Our greatest hope as an Iyengar Center is that we can share to the best of our ability his life’s work with you.